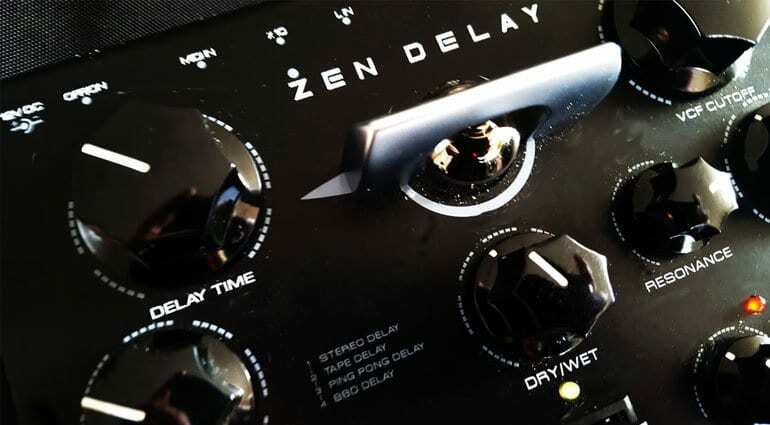 Zen Delay: Are Ninja Tune getting into desktop effects boxes? 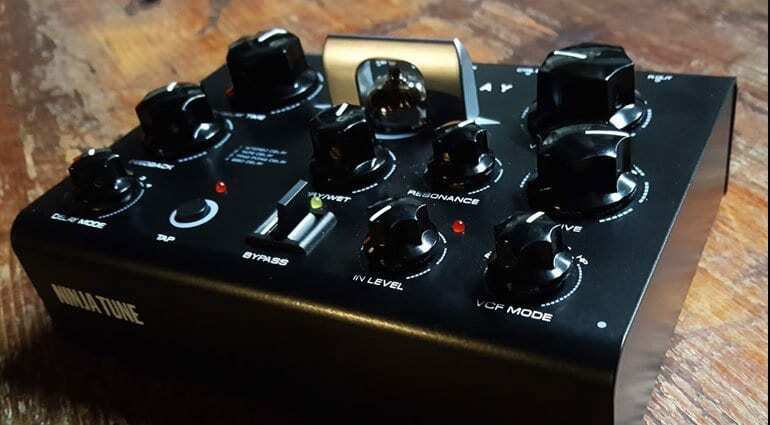 Some photos have emerged of what looks like an Erica Synths inspired desktop effects box with London based record label Ninja Tune printed on the side. 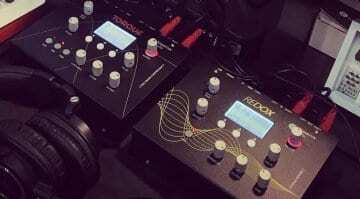 Shared on the Gearporn.Berlin blog the Zen Delay comes with no other information than that these were taken at Liquid Sky Berlin. It’s a very cool looking box with those bakelite knobs, deep black colour scheme and a nicely protected tube right in the middle. 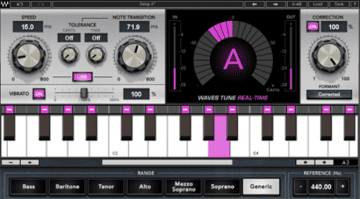 It has 4 types of delay – stereo, tape, ping pong and BBD. 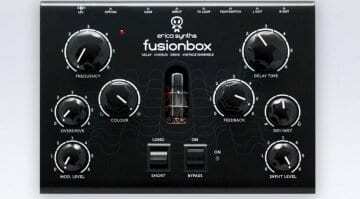 It also has a filter with resonance and a fat cut-off knob. 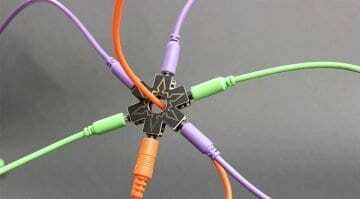 The tube is presumably connected to the Drive circuit. We can’t get enough of these desktop boxes at the moment and this one looks pretty tidy. Ninja Tune is apparently tight-lipped about it at the moment. 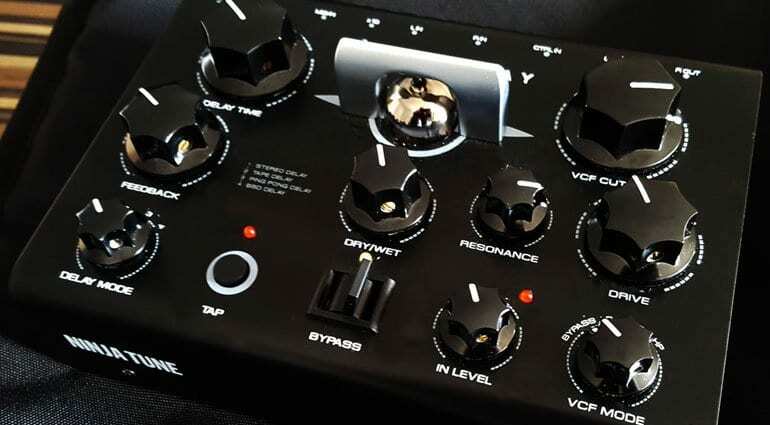 But with Musikmesse happening this week and Superbooth not too far off then hopefully more information will be forthcoming soon.